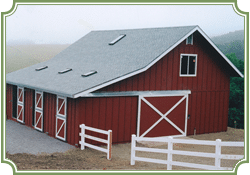 Have you dreamed of building a barn that is specially designed for your purpose and your building site? Carl Santos Construction can make those dreams a reality! Why do people love barns? For many reasons! A barn is anchored to the earth, an enduring symbol of a simpler life, a tie to our earthy roots, our love for horses, farm life and natural living. A mindfully built barn respectfully houses the resourceful, hard working people who work together inside their walls to care for their animals, create something new, or build their livelihoods across generations. 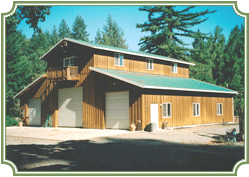 Contact Carl to plan your custom barn. 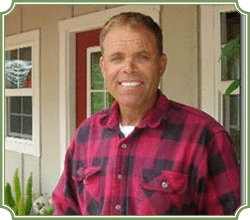 Carl Santos is one of the most respected barn builders in Sonoma, Marin and Napa Counties. Carl works right along side his crew as a hands-on manager, from foundation to finish. He attends to every detail, going above and beyond expectation, to make sure clients are happy with the finished project. Carl Santos Construction has only one problem: there is only one Carl Santos! When you schedule a barn construction job with Carl your job will start and finish on time and he will be there every day to make sure you are happy. This means he can only take on a certain number of jobs each year. Schedule your consultation with Carl now. See our exquisite array of projects of all types — barns for horses and livestock, wineries and weddings, art barns, party barns, special event barns, storage barns, live/work spaces, and even custom designed homes.